A poor result and performance sent the Squirrels back to Saitama with their tails between their legs. The day started badly with the news that Carlinho would be missing from the lineup. Despite a relatively bright start and an early lead through Cho Yong Cheol, Ardija faded quickly and were dominated by Sendai's pressing attack and in the end were thoroughly beaten. More bad news involved the injury to Omiya's young, talented midfielder and Japan Olympic representative, Keigo Higashi. I'm not sure how serious his injury is yet, but if as it seems he will miss games then that is a huge setback to Ardija's hopes. Omiya's goal came from a corner which was re-directed to an unmarked Cho in the Sendai box who was happy to firmly plant it away to give us the lead, which we somehow managed to keep until halftime. After the first half hour of the game Sendai basically took over and regularly threatened Kitano's goal, chances came and went, including hitting the bar and a goal disallowed for offside but it was surely a worried Ardija team that went into the break. Sendai came out for the second half and picked up from where they left off and by the end of the game were easy 4-1 winners through 2 goals by Ota, a goal by Sugai and an unfortunate own goal by Kikuchi. What have we learned from this performance and the others by the Orange men this season so far? An inability to score goals is an only too obvious weakness. We played well against Tokyo but failed to take any of the chances we created and took nothing from the game. At home to F Marinos in the Nabisco Cup we took the lead, but could not deliver any more goals to back up the early goal and had to settle for a draw, an away win against a struggling Albirex Nigata when 1-0 down at half time is so far the only time we have scored more than once and we left it late, and finally this game against Sendai where we never looked like scoring more than the once. To be honest the goal was gifted to us by poor defending from Sendai. Cho should not really have found that kind of space in their penalty area. Ardija urgently need to find more goals to give the defence confidence that we can hold teams out over the 90 minutes of a match. The passing game we play seems to be easily handled by sides with more physically imposing midfielders, and teams seem to be able to then find the space they need to cause our defence problems. The positives so far. For me the only answer can be Carlinho and Cho Yong Cheol. They have come in to the side and looked good, strong performers in their respective positions, and when they have played, they have contributed well to the team performance. It looks to be another long season for Jun Suzuki's men in J1. The optimism of a few weeks ago, when some of us dared to dream of a record breaking 11th place finish would now appear to be the hopes of the crazy. Next up at the Nack5 - It's Nagoya Grampus Eight. 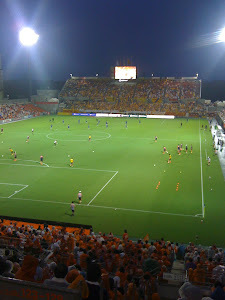 Time to turn things around then......Let's go Omiya!